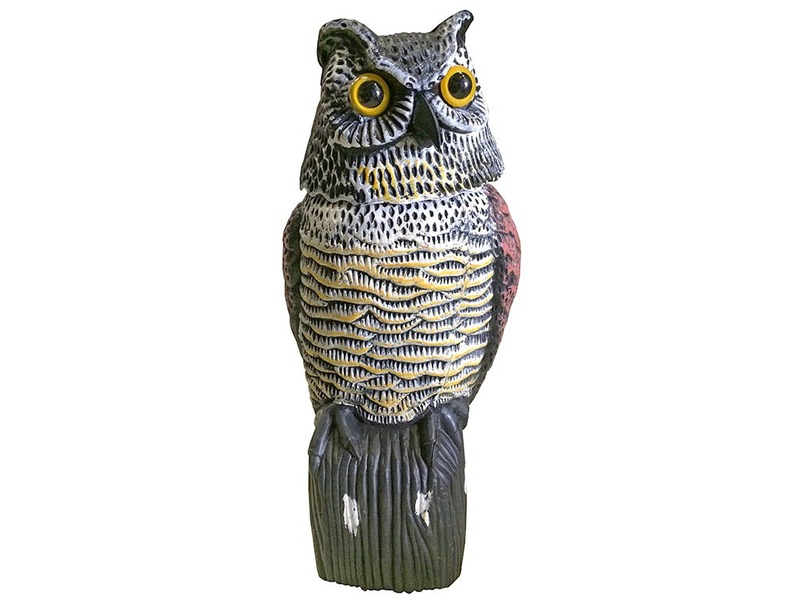 Scary Owl figure for garden and balcony repels smaller birds and rodents. 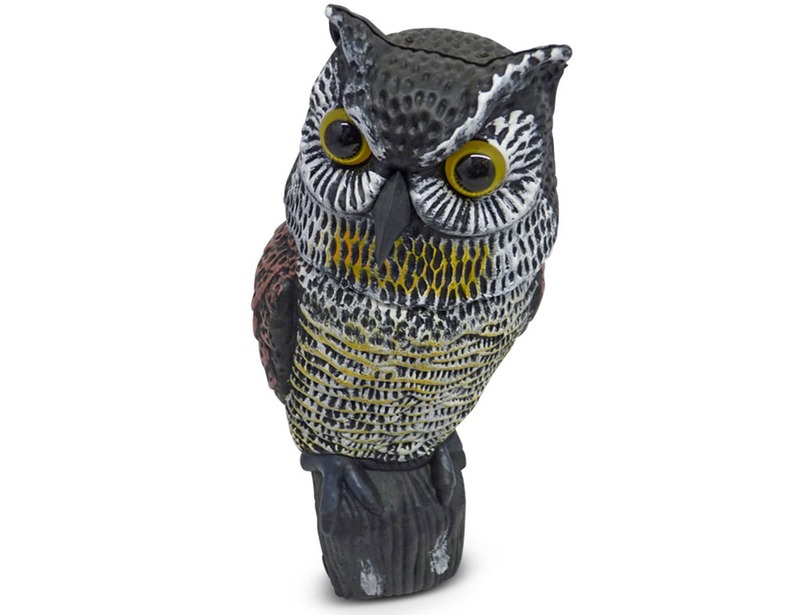 Place the owl figure in a spot with great visibility, so pests and birds would notice it easily. To avoid birds becoming accustomed to the owl, the location of the figure has to be changed from time to time, at least once in a week. The figure could be filled with sand if there’s a need to make it heavier. Head turns with wind. Height 40cm.